The partners in Israel's Tamar natural gas field said on Sunday they expect to sign a deal in the next few days to supply about $750 million worth of gas to IPP Delek Soreq, which is building a power plant in Israel. A total of 3.3 billion cubic meters (bcm) will be sold over 15 years - or when IPP Delek Soreq consumes the amount of gas in the contract - starting in the first quarter of 2016, according to a statement to the Tel Aviv Stock Exchange. The contract may be extended by two more years if after 14 years the quantity has not been fully used. 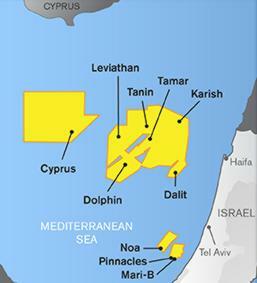 Tamar, discovered in 2009 off Israel's Mediterranean coast, is estimated to hold more than 280 bcm of gas. It began production a year ago and has already signed a number of lucrative deals in Israel. Texas-based Noble Energy has a 36 percent stake in the field. Delek Group, through its units Avner Oil Exploration and Delek Drilling, holds a 31.25 percent share. Isramco Negev has 28.75 percent and Dor Gas Exploration holds the remaining 4 percent. IPP Delek Soreq is controlled by Delek Group. Last month, the Tamar partners agreed to sell at least $500 million of gas to two Jordanian companies in the first deal outside of Israel.